Senate Session: The Senate of the 86th Legislature stands adjourned until 11:00 AM, Tuesday, April 23, 2019. For a list of upcoming committee hearings to be held at the Capitol and across the state, visit the Hearings and Events page. 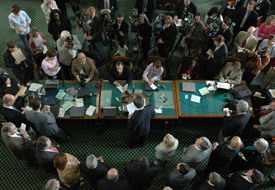 Archived broadcasts of Senate session and public hearings held at the Texas State Capitol may be viewed from the Audio/Video Archives page.